My practice as a psycho spiritual consultant and educator began with my own spiritual journey in my early twenties which involved study and practice of various Asian spiritual traditions. This search led to earning a Ph.D. in Buddhist studies, during which time I was a practitioner of Zen at the San Francisco Zen Center. I also studied and practiced Zen for four years in Japan at various monasteries. I met Tibetan Buddhist lama Chogyam Trungpa Rinpoche in 1976 and have been a practitioner of a Vajrayana Buddhism ever since, receiving teachings from numerous Tibetan lamas. I have taught Buddhism in graduate school, in Buddhist seminary and was the department head of meditation practice and study at Karme Choling, a Buddhist contemplative center in Vermont. Having practiced and studied Buddhism for many years, I was thrown by the challenges of my own midlife transition. This led me back to graduate school to earn a clinical degree and to engage in my own psychotherapeutic process. I received licensure as an LCSW and have practiced as a psychotherapist for approximately 25 years. Most recently I worked as a psychotherapist in the psychiatry department of Kaiser for approximately 12 years, serving individual clients and couples, and facilitating groups in mindfulness meditation and midlife process groups. 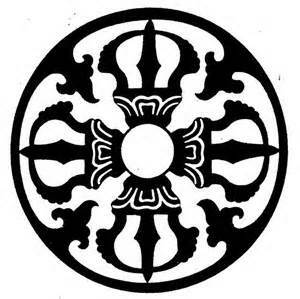 For the past year and a half I have held a weekly meditation group in San Rafael, teaching the practice of mindfulness meditation and the five wisdom energies of the Buddhist mandala, which re-sparks our connection with the sacredness of everyday life.